Barack Obama's remarkable victory proves one thing at least: just how distorting is the first past the post electoral system. Obama's convincing triumph in the electoral college masks a very narrow margin in actual votes cast: as of this morning, 50.2% to the President, 48.2% to Romney, or under two and a half million voters out of a probable total of approximately 120m. Never mind. The results will now be pored over by British pundits keen to find lessons for our own general election in two and a half years' time. The truth is of course that there aren't any. America is another country, and nothing valid can be translated from one nationally-specific system and campaign to another. But let's do it anyway. So here are four lessons from the US election for British politics. One. A comfort to Cameron: you can win an election with unemployment stubbornly high and refusing to fall significantly. 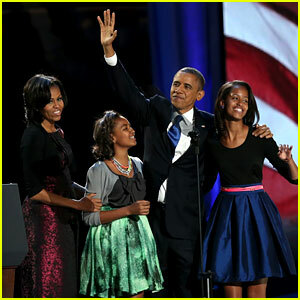 Obama confounded all historic trends to win with joblessness hovering at around 8%, a figure they said would doom him. Given the anaemic performance of the British economy being projected for the next two years, Cameron will be hoping the same applies in Britain. Two. After four years of economic downturn, the voters are much more interested in job creation and the promise of rising living standards than they are in the abstract idea of deficit reduction. As Paul Krugman never stops pointing out, Obama's Keynesian fiscal stance since 2010 has been about as weak as that label allows, but it has at least maintained sufficient demand to stop unemployment rising, and his active rescue of the US car industry may well have clinched his crucial victory in Ohio. It was striking that Romney was forced during the campaign to switch his message from the importance of deficit reduction to his active plan (such that it was) to create jobs. Unless it can somehow be miraculously conjured out of his ideological straitjacket, George Osborne's fatal inability to come up with anything that looks like a 'plan for growth', as Michael Heseltine is only the latest person to point out, creates serious problems for both Coalition parties going into the next election. Three. You don't win by shifting to the right. As everyone has observed, the dominance of Tea Party politics among Republicans forced Romney to take up extreme right-wing positions in order to win selection as the party candidate, but these policies then proved a fatal handicap in winning over independents and floating voters in the election proper. It's not just the unpopularity of those views which are the problem - it's also the flip-flopping between right and centre which undermines credibility with the electorate. The increasing confidence of the Tory Right here, flexing their muscles over Europe, renewable energy and welfare spending cuts with Cameron apparently powerless to resist them, makes the Prime Minister very vulnerable to the same charge. Ed Miliband's bold march into the centre ground of One Nation politics while Cameron is dragged off stage right risks severe electoral consequences for the Conservatives. Four. In times of recession, a policy of tax cuts for the very rich is not a good idea. Whatever its economic merits (of which there were none), Romney's tax plan - maintaining taxes on middle income earners while cutting them for the very rich - proved electorally suicidal in a country where the middle class has seen its living standards fall for more than a decade while the super-rich have awarded themselves grotesque returns even during the recession. Yet amazingly, that is exactly where Cameron and Osborne have positioned themselves too with their extraordinary decision to cut the 50p rate top of tax. It did not take even a glance at the opinion polls - which show that the tax cut is opposed by 55% and supported by 32% - to tell Ed Miliband that the 'tax cuts for millionaires' charge helps define the Tories as ineradicably 'out of touch' with the lives of ordinary British people in exactly the same way as Obama charged Romney. So let us repeat. You cannot draw conclusions from an election campaign in one country for the election prospects in another. None of these lessons can be inferred to apply in Britain from what has happened in the US. But they might be true nevertheless.